It might sound a little intimidating at first, but making tortillas at home is an easy and rewarding process. 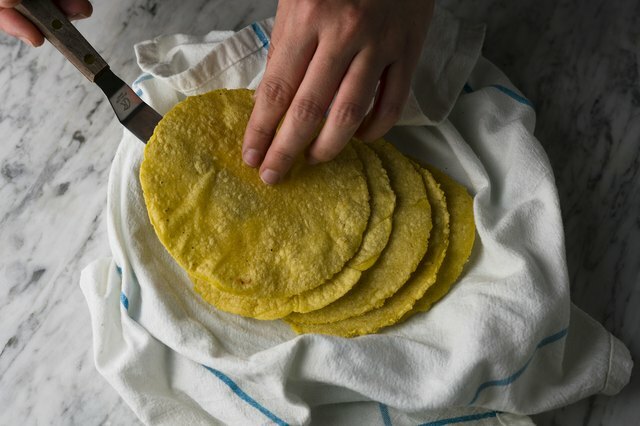 You'll only need three ingredients and a few quick steps to start making a batch of these authentic corn tortillas, which taste better than anything you'll find at the store. 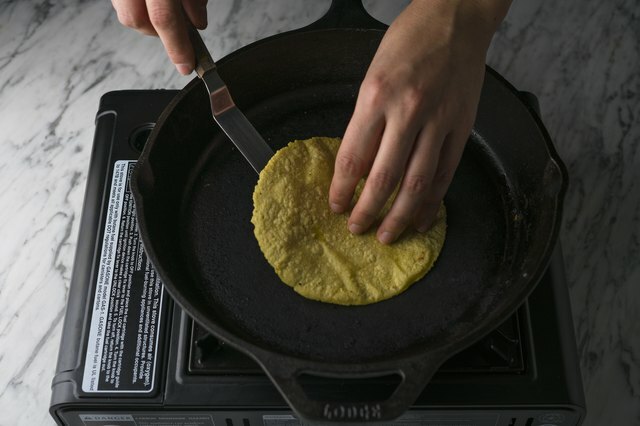 This recipe uses maseca which can be found at most supermarkets, along with the traditional method of using a tortilla press. If you don't have a press, fear not! Just make sure to look for the tip on how to make these without a press. Either way, in no time you'll have a lovely stack of warm, flavorful corn tortillas. 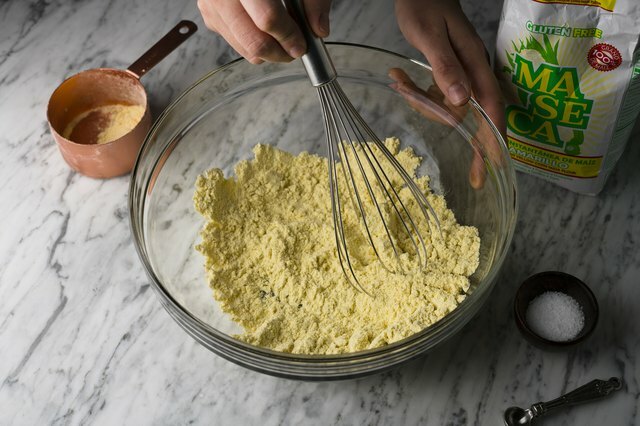 In a medium bowl whisk the maseca and salt together. Add the water to the bowl and mix together with your hands or a spatula. 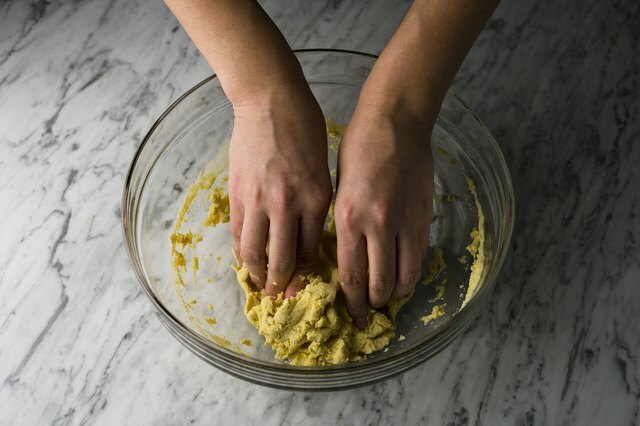 Once the dough starts to come together, knead for one-two minutes, or until a soft, non-sticky dough begins to form. If the dough feels dry and crumbly, add 1 teaspoon of water (one at a time as needed), and continue kneading until a soft dough is achieved. Alternatively, if the dough seems to be sticky, add a light dusting of maseca until the dough no longer sticks to your hands. Line the tortilla press with a ziplock bag that had been cut to fit the press's dimensions. Portion out 8 equal, golf ball sized pieces ( about 1 oz each) and place one onto the center of the press. Once the dough has been portioned out place the portions into a bowl and keep covered with a damp cloth to avoid drying out. If you don't have access to a tortilla press, try a rolling pin. 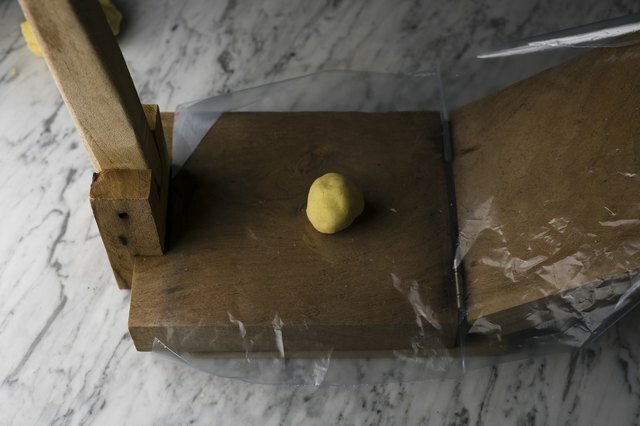 Simply swap out the plastic for parchment paper, place the dough in between the paper and roll the dough out with the rolling pin until 5 inches wide. Close the press, and press down using the lever. Open the press and carefully remove the tortilla. Set a skillet over medium-high heat. Once the pan is hot, add one tortilla and cook for 45 to 60 seconds, flip, then cook the second side for the same amount of time. Remove from the tortilla from the heat, or cook a bit longer if a crisper tortilla is preferred. 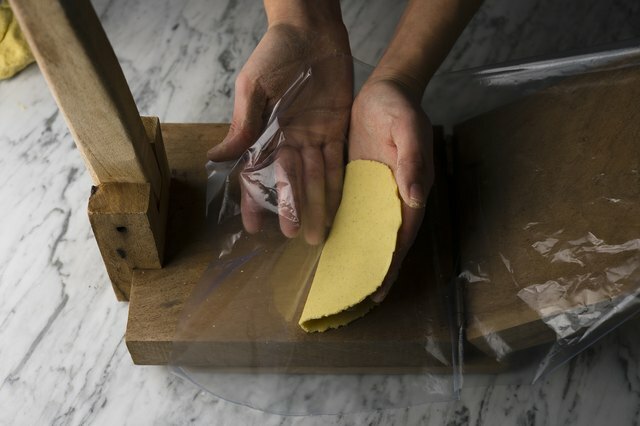 Wrap the cooked tortillas in a cloth to keep warm until ready to eat.